Hey Life Athletes, welcome to episode 155 of the Life Athletics podcast! Today’s guest Life Athlete is Emily Gallagher. 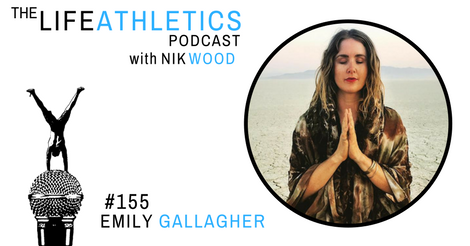 Emily Gallagher is a connector, coach, speaker, experience creator & obsessive collaborator. She is the creator of Conscious Boss Clique, a growing network of 1200 wellness entrepreneurs who come together in person and online to learn from business leaders and to connect as a community. "Surround yourself with epic people." Emily has worked with hundreds of entrepreneurs privately, through her group coaching programmes and events and is passionate about creating a conscious community of collaboration, connection & empowerment. She has helped hundreds of women to reconnect their fire, their belief, and build the confidence to launch and scale their businesses from $0 to five-figure-dollar months.